Vigor Airport Shuttle Services Limited offers a hassle-free and cost effective transfer service by its own fleet of coach or limousine to and from various major hotels in Hong Kong, Kowloon and the New Territories. Our highly personalized "Meet and Greet " welcome service awaits clients from the moment they enter the Arrival Hall at the Hong Kong International Airport, assisting them to board the pre-booked transportation and transferring them directly to major hotels. Our airport shuttle service provides most economical & convenient link between Hong Kong International Airport and hotels in the heart of the city. If you are looking for an easy, economical ride to your destination, simply go for us! This scheduled service operates from the 07:00 to 23:00 from the airport (# some hotels from 11:00 am to 17:00 pm), every 30 minutes headway. From hotels to the airport the service operates between 04:50 to 22:00 on an hourly bases. 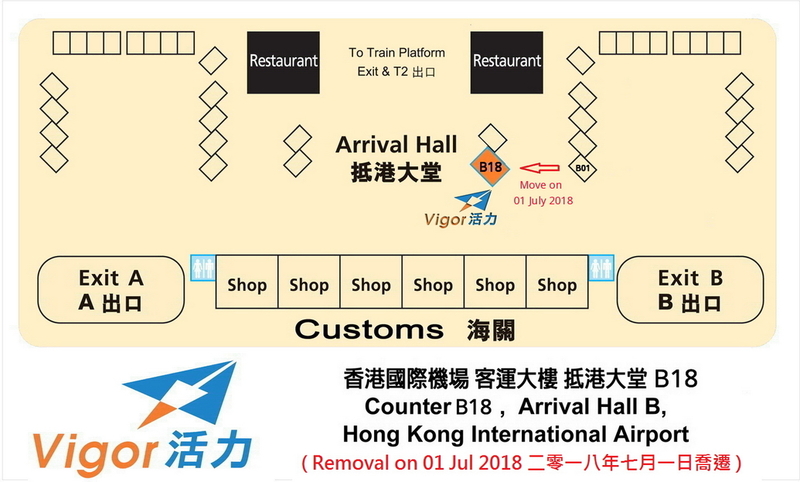 What is more, we have set up information desk on counter B18 in the Arrival Hall at HK Airport, with our ambassadors ready to bring you directly to the shuttle. Easy and Convenient! - Each passenger (except an infant) can check-in a maximum of two(2) pieces of baggage, total dimensions per bag shall not exceed 158 cm (62 inch) - regular size suitcase. These dimensions include wheels, handles and side pockets. - Over sized and excess baggage are subjected to the availability of storage space on coach, and surcharge will be levied. Please click here to submit an online booking form or contact our customer service at (852) 2739 3828.